BIG congratulations to Grace Bonney of Design Sponge. 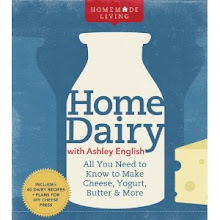 Her forthcoming book, Design Sponge at Home, is now available for pre-order. I know what a labor of love this book has been for Grace and, as an author myself, know what relief and titillation she's feeling to be so close to her book's publication. Check out the trailer above. The book promises to be an indispensable tome of domestic decor tips. *P.S. If you're wondering where I went, Design Sponge-wise, I'm taking a summer break to complete my book. I realized in early May there was just no way to keep up with a weekly post there while tending to my own blog, our wee one, and working on the new book, in addition to, you know, living my life. I'll be back, though, come August! FRIENDS! What a weekend we had. If yours was anywhere near as glorious and inspirational as mine, then you must be feeling pretty fine on this Monday afternoon. On Saturday, we partook in the annual Family Farm Tour. Multiple farms in several counties across western North Carolina opened wide their barn doors to the general public. Along with my good buddy (and editor extraordinaire) Nicole (who joined us on Saturday), we viewed 5 farms over two days. Our first stop was the venerable Hickory Nut Gap farm, well-known for their sustainable meat practices. While there, we saw their forthcoming patch of U-Pick blueberries and thornless blackberries, listened to the delighted squeals and watched the piggly antics of their forest swine, picniced creek-side under the dappled shade of several grand trees, picked up some goods from the farm store, and took in the epic views. We moved on next to Flying Cloud Farm, where Annie Perkinson gave us a field tour of her family's CSA and market garden. Growing everything from sunflower and celosia to kale and celeriac, Flying Cloud is a thing of beauty. Annie's daughter and her friend had even pitched a lemonade stand with the enticing call of "you know you want some" written on it. Our final stop on Saturday was Looking Glass Creamery. We caught a quick glimpse of the cheese production room, chatted with cheese-maker and owner Jennifer Perkins, purchased some gingered chevre, and called it a day. On Sunday, we headed north to Madison County where we hit up Spinning Spider Creamery, known for their stellar goat cheeses and East Fork Farm, from where we purchase our ground lamb. Spinning Spider is a serious operation, with a high-yield production room and many, many lovely goats. I was most impressed with their Stackhouse cheese, which contains Applewood ash in it made on site with ash from their own apple trees. I told Hubs that we've got to do the same with our own trees. Homemade applewood ash. Can you imagine??? East Fork showcased some of the most adorable animals I've ever seen. The baby ducks were over the top in the adorable department The farm also raises rabbits, chickens (egg and meat), and lamb, which they rotate every 6 weeks across the 10 pastures on their 40 acre parcel of mountainside. Our tour was presented by the crackerjack Autumn ("like the season"), the farmer's daughter, who looked to be around 12 or 13 years old. Animal husbandry phraseology and figures rolled off her tongue like a true farmers child. I also had the immense good fortune of running into the lovely Jen Altman and her family at Hickory Nut Gap. I knew she'd moved to Asheville and I've been looking forward to bidding her an official "howdy 'do." Her three daughters are adorable. I wish I'd thought to take a picture of the three of them in their Hunter wellies, each a different color (including one-not sure which girl-sporting a pair that were silver!!!). It was an amazing weekend, filled with glorious vistas, babbling brooks, chirping chicks, cheeping ducks, puckery pickles, fragrant rosés, giggling babies, and one happy mama. It's really quite an experience to physically meet and interact with the individuals growing the food you consume and seeing the spaces on which they farm. It humbles me to see them labor. It floods me with gratitude to live in an area of such beauty and bounty. It calms my frazzled nerves (I tell ya, 8 month-old crawling babies are a LOT of work, especially when you're in the final 5 week stretch of completing a book at home with them underfoot!) and makes me feel grounded, rooted, tethered to this exquisite place in which I've found a mate and started a family. This place is my home, and I do so love it dearly. *To see LOADS more photos from our tour, go here, here, and here. For you local folks looking for something to do tonight, I invite you to come check out a panel discussion on "Women & Bees" that I'll be included in. Part of Asheville International Pollinator Week, the discussion follows Tammy Horn's talk on how the honeybee has been perceived in this country and how those perceptions have changed as the country has developed through the centuries. 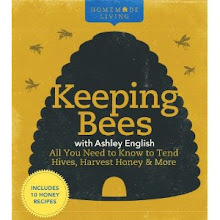 She'll also be discussing her upcoming book on women and bees. Horn is a professor at Berea College in Kentucky and the author of Bees In America-How the Honeybee Shaped A Nation and Beecomony: What Women and Bees Can Teach Us About Local Trade and the Global Market. The event will be held at Altamont Theatre Company located at 11 Church St. It runs from 7-9 and costs $11. Here's a link to the event. Hope to perhaps see some of you there! Hi all. I've got another guest post lined up for you today. This one is from Indio over at Saving the Big Money, an "eco-minded, frugal living, homesteading, gardener in suburbia." She's sharing her recipe for making compost tea, which your crops will undoubtedly welcome! "Ice tea is one my favorite summer time beverages. On a hot day, there is nothing as thirst quenching as a tall glass of pineapple flavored iced tea. Oddly enough, my plants agree with me that tea is one of their favorite beverages too. How do I know? Whenever, I brew up a batch of compost tea and water them with it, they grow exponentially. I started out with a control group of plants that didn’t get the compost tea as a point of comparison. Eventually, I took pity on this group and one by one they got hooked on the delicious beverage. There is only one remaining anemic plant from my group of test plants. This is my first year using compost tea and I quickly became a convert. It’s not a difficult process so I usually have a 5 gallon bucket of tea percolating daily. I alternate between my two vegetable beds and every other day they get a drink when it isn’t raining. With the recent ecoli outbreak in Europe, compost tea is one of the safest ways to add nutrients to soil instead of using animal manure. Rather than worrying about whether or not the manure has aged enough to be safe on root crops, or if it will splash on fruiting crops I’ve found that compost tea is a way to take the worry out of soil enhancement and organic nutritional supplements. At its most basic, compost tea is made by soaking the compost in non-chlorinated water for twenty four hours to encourage the growth of bacteria, fungi, protozoa and beneficial microbes that will feed the plant either through the leaves or the root system. The tea can be either sprayed on the plants as a foliar spray or used to water the plants. If you soak the compost longer than 24 hours, you risk the microbes dying before they get to the plant so it’s important to use it as soon as it is ready. 1. Fill a large bucket with water (water temperature doesn’t matter). If you don’t have well water, then let the water sit for 24 hours prior to adding the compost to let the chlorine evaporate out of the treated water. Depending upon the size of your garden you may want to use something larger than a five gallon bucket, which is what I use for my two modest veg beds. 2. To encourage the microbe development, I add two tbsps of tea catalyst to the water and stir to dissolve it. This is not a mandatory step, but it does accelerate the development of the microbes. 3. An air pump, the kind that is typically used in an aquarium, with two air stones attached to the end of the pump tubing, are used to circulate the bucket water. The air stones are placed on the bottom of the bucket. The whole set up must be located near an electrical outlet because the pump will need to be higher than the bucket so that water doesn’t get sucked back into the pump and break it. The pump speeds up the process by circulating the water and organisms. 4. To make the tea, I use either worm castings or arctic humus. I usually run out of humus quickly, but worm castings I can dig out of the vermicompost bin in my basement. If you don’t have a worm bin, check with your local garden shop for bags of worm castings. Next put the compost in a mesh bag and hang that over the edges of the bucket. Stirring the compost every now and then helps distribute the organisms, rather than letting them get stuck in the compost. In 24 hours, you can pour the tea into a watering can or use it as a foliar spray. Your plants will show their appreciation by being bountiful." Thank you, Indio, for a lovely and informative post! If you've got something you think small measure readers would like to hear about, send me an e-mail and we'll chat! 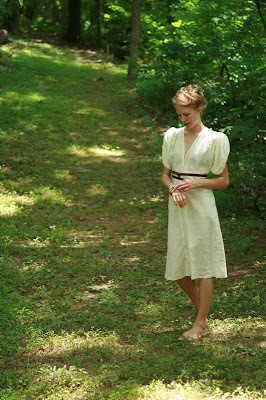 Renee, lucky number #132 and the voice behind the beautiful blog Heirloom Seasons! Congratulations. I'll be in touch for your mailing information. Thanks so very much to all of you that participated, especially those of you dropping in from Soulemama. Look for another giveaway beginning next Monday. This is so fun!!! So, I'm thinking of teaching some classes, chez English, this August and September. I thought I'd put a feeler out first to see if any of you local yokels would be interested in such a thing. The topics of the classes would parallel my books. That translates to canning, chickens, and dairy-making classes (I'm thinking of a basic beekeeping class out here early next spring). I might also pair up with a friend and host a beginning bread-making class. The cost of the class would include lunch. If you're interested, post a comment telling me which class you'd most like to take. If I get enough positive feedback, I'll go ahead and line them up! Happy Father's Day! Today is Hubs' first time celebrating this holiday. In recognition of the occasion, I whipped up a feast of local sausage, eggs from our chickens, and vanilla bean waffles with a blackberry & blueberry compote. My mom and maternal grandmother joined us and we dined heartily at our big oak dining table while the clouds gathered outside and the rain poured. When considering a fitting Father's Day gift, I tried to keep Hubs' interests in mind, looking for something he could always associate with this most special day. I knew he'd long been interested in ceramics and started looking for a class in the area. I found a truly affordable 7-week beginner's pottery class at the local community college and knew it was the perfect gift. Turns out, he agreed! As for my own father, I couldn't have asked for a better Pop. Although my parents split when I was only 1 1/2 (I have no memory at all of my folks having been a couple), my dad remained a steadfast part of my life. In fact, we still chat every morning except for Sundays at 9 a.m. sharp. Thanks for all you did for us, Pop, and for all you continue to do. You're tops. Huxley got a great Pop in this whole deal. That's the two of them pictured above at a nearby lavender farm we went to yesterday. Hubs is one of the kindest, most thoughtful, generous, creative, compassionate, empathic, handsome men I've ever met. The littlest English has a Papa who's got his back, in spades. We love you SO much!!! Hi friends! I'm blogging it up over on the luminous Amanda Soule's Soulemama today. Come find me there! And I thought I'd share this short, silly video of Huxley. He was "singing" right before I grabbed the camera, his new, favorite thing to do. You can see how close he is to crawling in it. Also, I've been reading, and laughing and seriously overall enjoying, Matthew Amster-Burton's book Hungry Monkey: A Food-Loving Father's Quest to Raise An Adventurous Eater. While Huxley's not quite ready for carne asada or chiles rellenos, he's getting closer by the day. Matthew's book is a great read for those of us wondering what in the heck to feed our littles while knowing we don't to go the jarred baby food or rice cereal route. The season of the pickle is upon us! Stumped for recipe ideas? 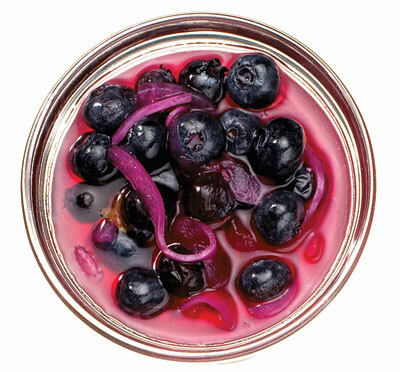 The genius folks at Saveur magazine have rounded up "22 Perfect Pickles" to tantalize your palette. Check it. I have very few heroes. It's not that I can't find folks who inspire me beyond measure; there are plenty of such individuals. My beef is more with the idea of a "hero" itself. We're all human. We all make mistakes. We're all incredibly mortal and sometimes selfish and occasionally hurtful or neglectful. There are a few folks, though, who, despite their flesh and bone selves, have found a way into my heart and soul with their words, deeds, and overall way of living. Hugh Fearnley-Whittingstall is one such person. A British food writer, chef, TV personality, farm-to-table & snout-to-hoof advocate, sustainable farming educator, and much, much more, Hugh is one incredible fella. He started his food career with a BBC show in which he'd wild forage for food (including road kill), and then cook it up into a delicious repast. He went on to own and operate the River Cottage, a restaurant and food education center that strives towards, according to its website, "less dependence on the outside world, food integrity, and the consumption of local, seasonal produce." Not content to simply produce great food for their own, and their patron's, consumption, the River Cottage took on a number of food-based campaigns. "Chicken Out!" raised awareness about factory poultry farms, while "Fish Fight" brought attention to over-fishing, seafood waste, and sustainable aquaculture alternatives. The campaign closest to my heart, though, and the one that endears Hugh to me the most, is "Landshare." Begun in Britain, but now encompassing the entire UK, as well as Australia and Canada, Landshare partners those who own land but aren't using it, with those desiring land but not in possession of it. It's a genius idea, and yet an immensely simple one at the same time. We did something similar out here several years ago, letting a young farmer use our land and (former) greenhouse for a growing season. We're up to the possibility of doing it again, perhaps, sometime in the future. Because of my admiration (and adoration!) 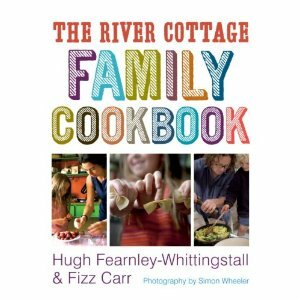 of Hugh, his River Cottage, and everything related to him and his projects, I'm giving away a copy of his and Fizz Carr's (incredible name, right???) River Cottage Family Cookbook this week. 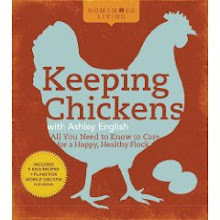 While written with cooking with the wee ones in mind, even if you don't have children, this is a fabulous book. It's full of recipes for simple, yet sublime, dishes. They're not dumbed down for children, either, which is one bone of contention I often have with many children's books. It's also chock full of gorgeous photos. I'll run the giveaway for one week, ending it next Monday, June 20th, at midnight EST. This contest is open only to US residents (sorry international friends!). To enter, leave a comment of your favorite thing to cook or bake with your family (and by "family" I mean your kiddos, mom, granddad, aunt, cousin, what-have-you). I'll randomly select a winner next week and get Hugh's incredible tome (it's a biggun!) out to you. Even if you don't enter the contest, do check out Hugh and his projects. Although many of them are U.K.-specific, they're packed with inspiration and beauty, all the same. The little dude is "this" close to crawling. He gets up on all fours and rocks himself, then turns to a tearful mess when he can't quite figure out how to propel himself forward. Much as I want him to take that giant leap of progress forward, I'm also hoping he stretches out the time it takes to get there. I know that once he starts moving, there's no turning back. All bets are off. His middle names is "Wild" for a reason and I'm in the final month and a half of book writing! Bide your time there, little fella. Bide your time. Next weekend we're heading north to Burnsville (the town where my mother and grandmother hang their respective hats), for the annual Lavender festival held at Mountain Farm. It's truly one of the highlights of the year for Hubs and I, and now we get to extend the fun to our "Peanut Sauce." I'll take photos and share our escapades with you. The fireflies are out here. There's lots of lemonade being consumed. We picked up a swimming pool for Huxley, big enough to fit all of us in it. The ceiling fans are on near constant circulation. The wine berries are getting close to ripening and the garden is full of future eats. There's honey soon to be extracted and green grass and twilight cold beer on the patio. I'm planning an old-fashioned "Ice Cream Social" out here for my 35th b-day in July. In short, goodness abounds. Wherever you are, whatever you're up to, may it be grand. *Did you know that clicking on the photos with your mouse enables you to magnify their size? Get a load of that leg chunk. Hard to believe this tiny Mr. Universe was such a shrimp when he came home from the hospital! I'm introducing a new column on small measure today: small friends. Popping up periodically in the future, "small friends" are folks I know whose work I find particularly inspiring. While their vocations will differ (chocolatiers to clothing designers, jewelers to bread bakers), what unites these friends is a commitment to environmental stewardship. In their chosen professions, my friends have discovered small, gentle ways of treading lightly on the planet whilst pursuing their passions, which is the overall goal of this blog, and of my life as a whole. I'm beginning today with Sarahbeth Lattimore, proprietress and queen bee of Unabashed Apparel, a clothing line that focuses on sustainable practices. Sarahbeth honed her chops during a childhood surrounded by a family of skilled seamstresses, later pairing that skill set as an adult with a commitment to the environment. From using vintage and organic fabrics, to hand-dying with low-impact fiber reactive dyes to donating 1% of all profits to the non-profit Clean Water for NC, Unabashed Apparel aims, as its website details, "to change the world, one dress at a time." Recently, Sarabeth sent me an e-mail, in which she recognized our affinity for making conscientious choices for living in harmony with our planet while enjoying the fun that fashion imbues life with. In her own words: I know you're a gal that can get behind the idea that homestead, responsible, and conscious living does not mean that we all have to have knarly hair, wear burlap feed bags and Birkenstocks. I'm an environmentalist and a fashion designer. I think at the end of the day I believe clothing should do a couple of things: charm, feel good, and do the least amount of harm to the world around us that it can. A woman after my own heart, indeed. Sarahbeth will soon be launching a children's clothing line, to be titled "Bashful." If her line of garments for wee ones is anything like her women's items, then we're in store for some truly splendid, and sustainable, fashions. Thanks for all you do, Sarahbeth! *Images property of Sarahbeth Lattimore. Some of you may know that I write a quarterly column for the lovely Stampington & Company publication Where Women Cook (the Summer/June issue just debuted! My "Homemade Living" column is all about getting the best farmer's market experience possible, along with 4 recipes for seasonal food bliss). Jo Packham and her creative team are a pleasure to work with. 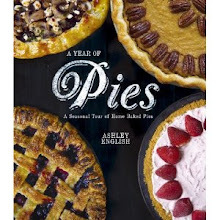 I love flipping through the publication and seeing what other food-lovin' ladies are churning out in their kitchens. Imagine, then, my profound delight when I was asked if I'd like to attend The Creative Connection, a Stampington and Sterling Books (my publisher's parent company) event featuring women, food, crafts, business, and much, much more. Held this coming September in St. Paul, Minnesota, I'll be one of the teachers in the Mary Jane's Farm food track. I've long admired Mary Jane and all that she does out in Idaho, and have spent many an afternoon pouring over her magazine. How crazy that I've now begun receiving e-mails directly from her and know that she'll be calling my house (!!!) in July to firm up all of the materials needed for my class. The event is shaping up to be an incredibly good one. Molly Wizenberg, Todd & Diane from White On Rice Couple and Holly Becker of Decor 8 are just a tiny sampling of the culinary luminaries that'll be there. To be included in the mix is an honor beyond compare (plus, I've long maintained that Molly and I are destined to become best friends and now I'll have my chance to rub elbows with her and share my plan in person). I highly encourage you to check out The Creative Connection website. From what I hear, St. Paul/Minneapolis truly shines in September. 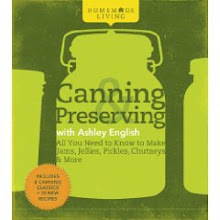 I plan to share my love of jam and all things canning and then check out what everyone else is up to. Maybe I'll see you there! Several weeks ago when I opened up small measure to the possibility of guest posts, Daisy Siskin from over at Little House in the Suburbs was one of the first folks to respond. Rife with posts on everything from DIY furniture polish to, most recently, homemade water kefir, Daisy's blog is one you will absolutely want to add to your daily blog roll. Today, she's guiding us through information on the medicinal herb Valerian. I remember years ago, when I was the bulk herbs and spices buyer for Whole Foods in Arlington, Virginia how my co-workers would moan and groan whenever I'd open up a fresh bag of the herb. "Wet dog!" or "smelly socks! ", they'd yell out, holding their noses in exaggeration. To me, I always found the aroma more redolent of root beer. Whether you find Valerian stinky or sublime, it's inherent beneficial medicinal properties are a force to be reckoned with, as Daisy expertly illustrates! "When I first started gardening I stuck with basic plants, nothing out of the ordinary. Once I became comfortable with the nuts and bolts, your basic veg and fruit, I went a little crazy and started to experiment with things you won’t find in the seed rack at the hardware store. Weird things, you might say. Every year, I sneak a few of these off-the-beaten-path plants onto the seed list, put them in the ground, and watch what happens. I love the surprise of growing something in my garden I’ve never even seen before. More often than not, being of the absent-minded breed of gardener, I forget what I planted, where. First I think, “Shoot! Why can’t I remember to label?” But then it turns into an adventure because I have to go all Nancy Drew to identify which seedlings are which. The surprise plant this Spring is valerian (Valeriana officinalis). I planted it last year, but it didn’t flower until now. It’s an early bloomer, beginning toward the start of May in zone 7, and stays in bloom for several weeks. The fragrance is sweet, kind of like vanilla butter cookies, and the blooms (mine are white, some are pink) are delicate and airy. At five feet tall, it’s definitely best for back of the border. I learned this too late and mine is smack in the middle, as if I built the garden around it. The white umbels seem to glow in the night garden. Teas, tinctures, and powders made from valerian root have been used in traditional medicine forever for insomnia and anxiety. The action of valerian on the brain is similar to benzodiazepines such as Valium and Xanax, but milder. Historically, its uses have ranged from love potions (to drive your lover bananas) to catnip substitute (to drive your cat bananas) to irritability reducer (to keep from being driven bananas). I haven’t tried valerian myself, and obviously anyone would want to check into it thoroughly before trying it. Research the websites of university complementary and alternative medicine departments or a good herbal medicine manual like The Encyclopedia of Herbal Medicine, by Chevallier (DK: 2000). Even if I never use valerian medicinally, it’s worth growing for its surprising height and country fencerow good looks. Plus, I hear its roots attract earthworms. If you garden, you know that makes my heart go pitter-patter. P.S. A couple of my favorite sources for weird seeds are: Fedco Seeds and Southern Exposure Seed Exchange." Thank you, Daisy, for this excellent post! Do check out her blog, friends. You won't be disappointed. And for those of you who think you've got something small measure readers might also enjoy reading, send me an e-mail and let's see if we can't just get something going between us!